The alternate spelling is The Ecchoing Green. William Blake included it in his collected works about children or written for children: Songs of Innocence and Experience (1789). 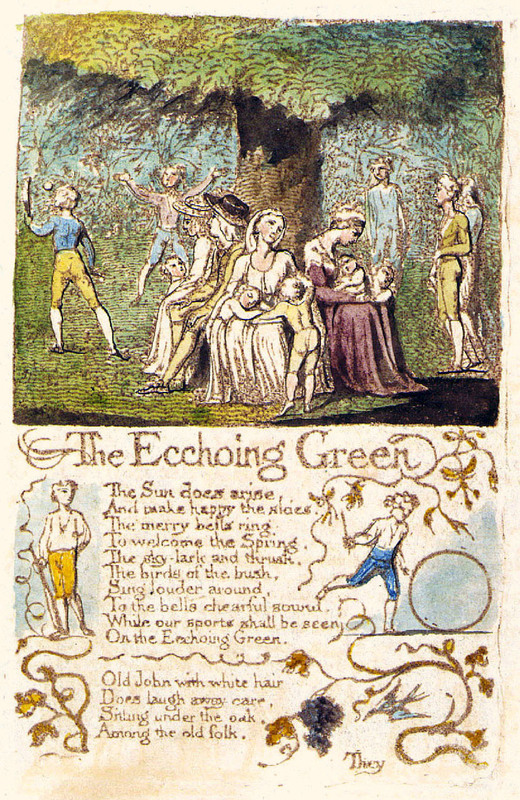 Blake's words describe the images and delightful joy of children playing outdoors, and the "echo" is an old man's memory of his own childhood. Plenty of opportunity to study metaphor, it is often read by elementary students in grades 4-5. Add The Echoing Green to your own personal library.